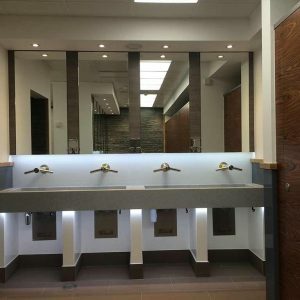 Having many years of experience in the construction and renovation industry, here at Pure Construction, we are a friendly team of specialist contractors that offer a range of services from planning, building and improvement services for residential, commercial and industrial properties. Based in Hampshire, we provide our services throughout the South covering areas such as Sussex, Brighton, Eastbourne and Hove. Q.How is Pure Construction is different to other construction companies? We have the expertise and experience of working on numerous construction projects from commercial to residential. Each of our clients receive a fully tailored service to match their specifications and expectations. From the start to the end of a project, our staff are on hand to help with any requirements. Most of all, we make sure that all work that is carried out is accomplished to the highest standard. Q.How do I get a quote for my work? 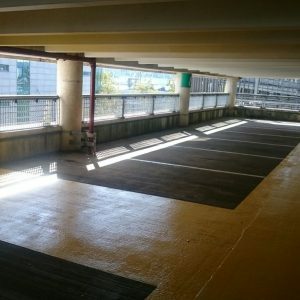 If you are looking to get a quote for a project, the best way to start would be by contacting us. You can use our contact form on the website or alternatively you can call us on 02392 375 263. Q.How long are quotes valid for? All of our quotes are valid for 30 days. Q.Can you handle large scale projects? 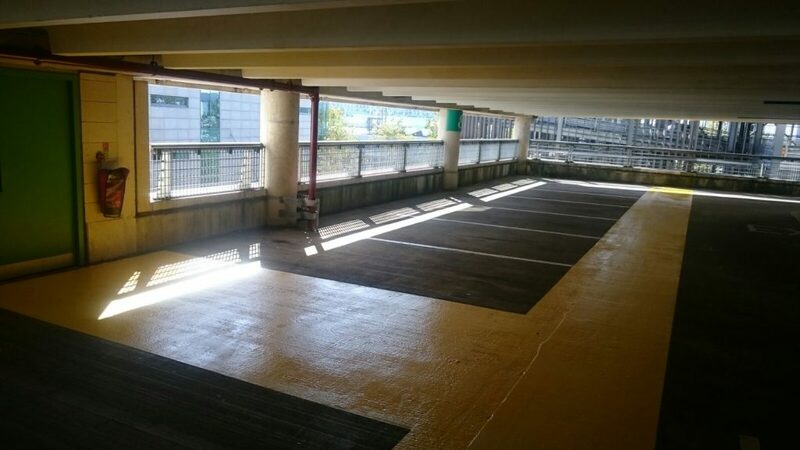 We have the capability to manage any size project from start to finish. 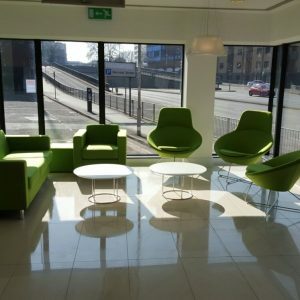 From residential work to large scale commercial projects, we have the skill and the experience to undertake any construction work that is needed. When managing a project we will work closely with the client to ensure that they have all relevant information during the process. One of our team will be assigned to the project and will be the contact point between the client and the construction team. Q.Do you offer a white label service? We offer a white label service and have worked with many main contractors on previous projects. If you would like more information regarding our white label service please call us on 02392 375 263. Q.Do you have a partnership programme? We are always looking to partner with architectural firms and other contractors. If you would like to work with us please call us on 02392 375 263. Q.Do you work on listed buildings? We can work on listed building and will work closely with the client and the planning authorities to ensure all work is completed to the highest standard. Whether you are looking for small building work on a family home or large structural work, at Pure, we aim to provide accurate time plans and quotes to allow our team to do their brilliant work whilst making sure we stick to an agreed budget. No project begins without everyone involved ensuring they are 100% satisfied with the design plans, our builders have lots of experience working closely with customers and use their skills to create new solutions and ideas for clients. Our team of building contractors at Pure are extremely tight-knit and have delivered many amazing projects for a range of requirements and continue to work to the highest standard. Our team work on many different residential property buildings from large and small family homes to apartment buildings. 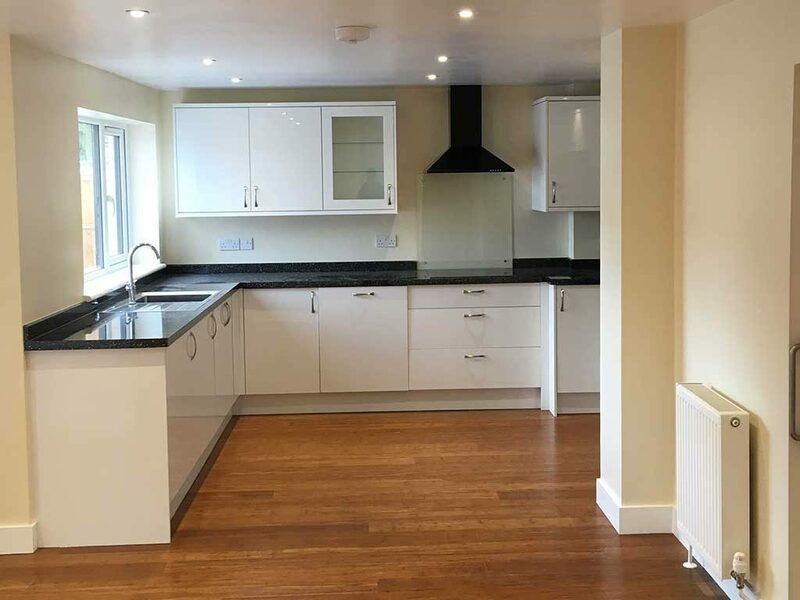 We offer many services including extensions, maintenance work, loft conversions, refurbishment, alterations, heating, plumbing and installing bathrooms. New builds and residential properties have many laws that affect how they are built; we offer a safe service that is up to date with the latest regulations. Our team always strives to meet the needs of each customer making sure they complete quality work and ensuring your build is as stress free as possible. 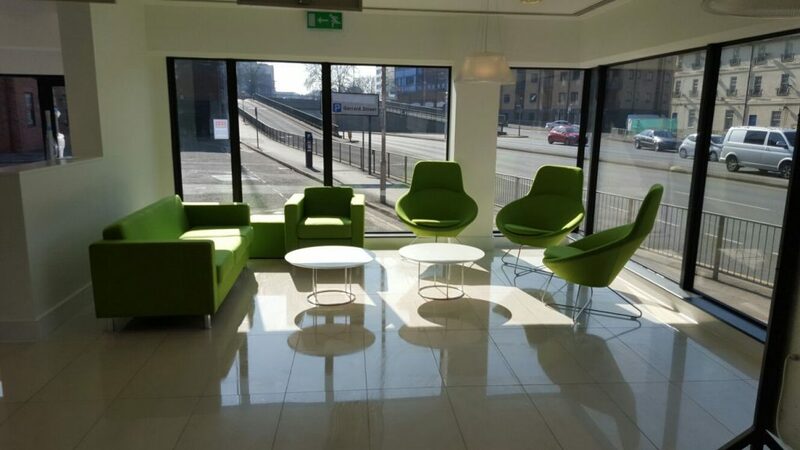 Pure Construction offer a variety of services for commercial properties from simple refurbishments, cladding and steelwork projects to completely new construction jobs. 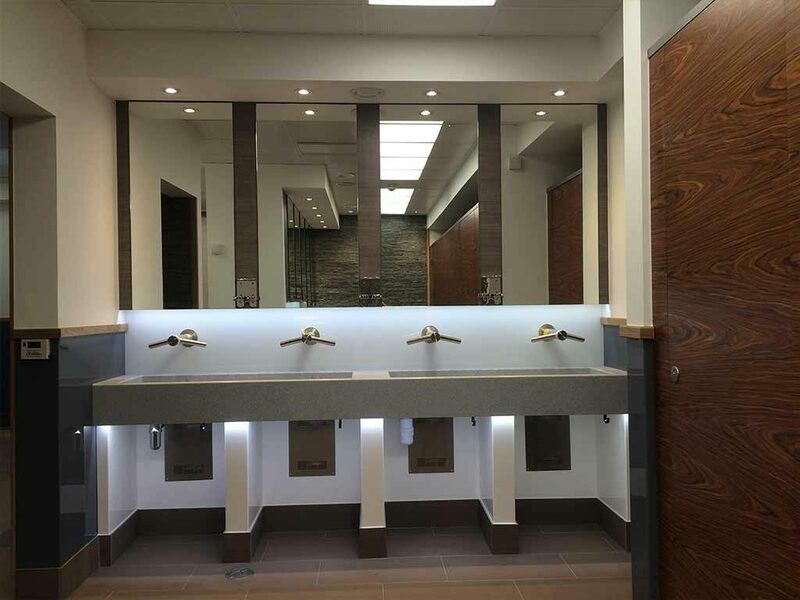 Past projects on commercial properties have included cladding installations, steelwork, internal reception refurbishment, new ceilings, lighting wall finishes and floor finishes. As well as working on residential and commercial properties at Pure, we offer an array of innovative solutions for any house or property to make living with a disability easier. Our aim is to offer adaptations that will last the test of time and give you a home you can rely on. We can offer hoists, lifts, wet rooms, extensions, sensory play areas and building adaptations for people with disabilities. Since Pure Construction has been established, we have worked with different councils and practices to complete Disabled Facility Grant (DFG) contracts and adapt client’s homes to suit their needs. Feel free to browse the map below to see the range of projects that Pure have completed across different areas. 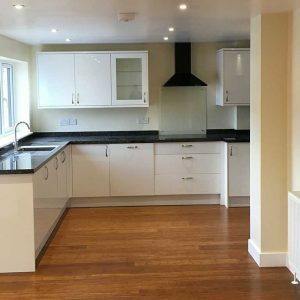 We provide many building services in East and West Sussex including Brighton, Chichester and other surrounding areas across the South of the UK. Our reputation as experienced professional contractors has come from our many years in the industry and a community of satisfied and happy customers. If you are looking for any building work in Sussex or surrounding areas, please do not hesitate to get in contact with us today by email or phone for a general quote. Registered company name: Pure Construction (Southern) Limited. Registered Number: 08273100. Registered address: 3 Acorn Business Centre, Northarbour Road, Portsmouth, England, PO6 3TH. Company VAT number: TBC.